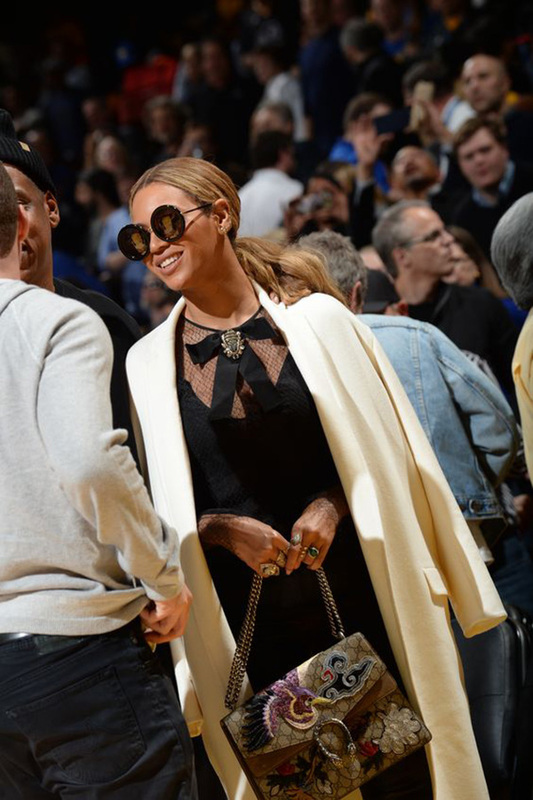 Global icon, film star, actress, mother and wife are just some of the words used to describe the ever stylish Beyoncé. Rising to fame in the late 1990s and entertaining us for the past twenty years, this Superstar never seems to put a fashion foot wrong. Always looking gorgeous from head to toe, stunning with a vast wardrobe and rarely seen out in the same outfit twice. We love the fact that despite her large entourage she seems mostly happy to carry her own bags and we also love the fact that she always has a different bag, staying true to herself and not becoming an ambassador for a particular brand means she has the freedom to accessorise with whichever designer bag she wants to and with so many too choose from it’s no wonder she’s nearly always seen sporting some new arm candy. 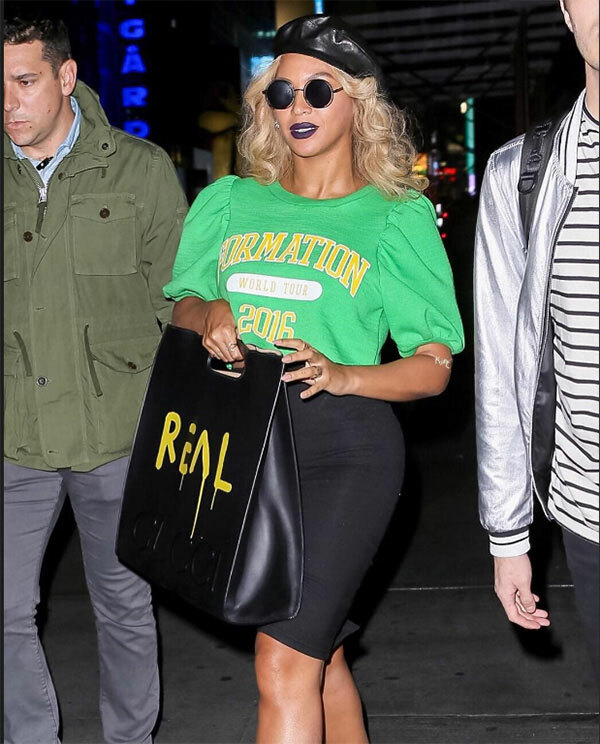 Forget the big brands; Beyoncé seems more than happy to wear designs from some of the more contemporary designers such as Diane von Furstenberg with the oversized Stephanie Hobo (a bargain at less than $900) or the 440 Tote ($975). Other lesser known bags that feature in her vast collection are the Kate Spade Tuxedo Hill Nadine Satchel, the Gianmarco Lorenzi Military Bag, the DeManta Clutch by Alexander McQueen ( a bargain at just a touch over $500) and the Tory Burch 797 Satchel is stunning. Pick up a blue 797 for $495 via Nordstrom. 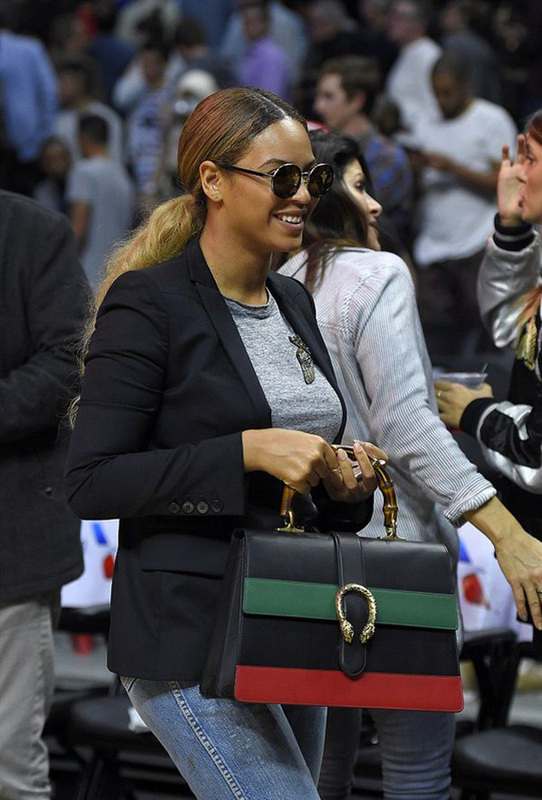 We love the fact Beyoncé rocks handbags and purses that are accessible to all, but no celebrity could be without a bag or two or three from the luxury designers famous for their bags, such as Hermes and Louis Vuitton. 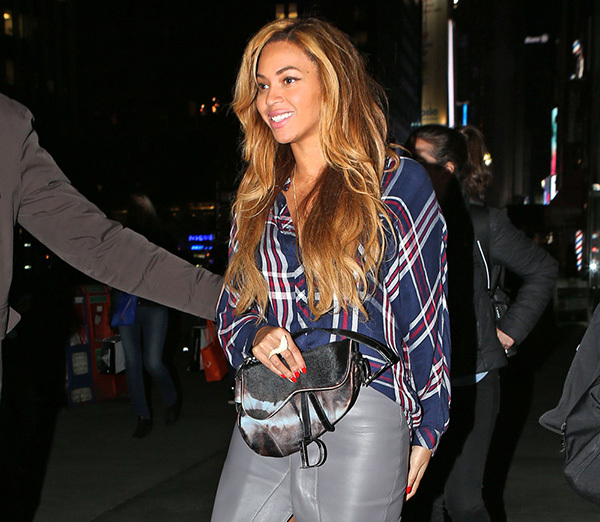 In fact the Beyoncé handbag collection features at least two from the luxury brand Hermes. A black Crocodile Birkin bag a and a pinky orange Hermes Kelly Bag ensure her wardrobe collection contains some of the most coveted bags on the planet. And not even Queen B could resist a little of Chanel, but opting for the Chanel Lucky Charms Flap Bag ensures she stands out from the crowd. 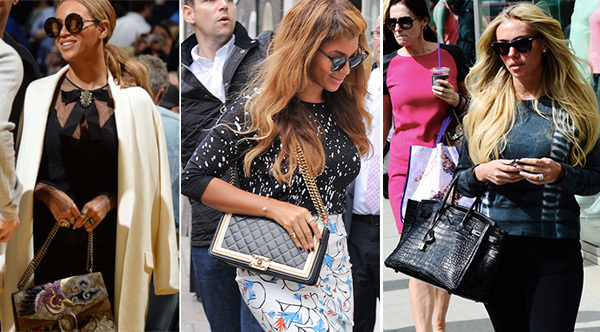 Of course no handbag collection could be complete without a few LV’s and Beyoncé makes her mark with what was claimed to be the most expensive bag in the world at the time, $45,000! It can only be the Louis Vuitton Tribute Patchwork Bag. 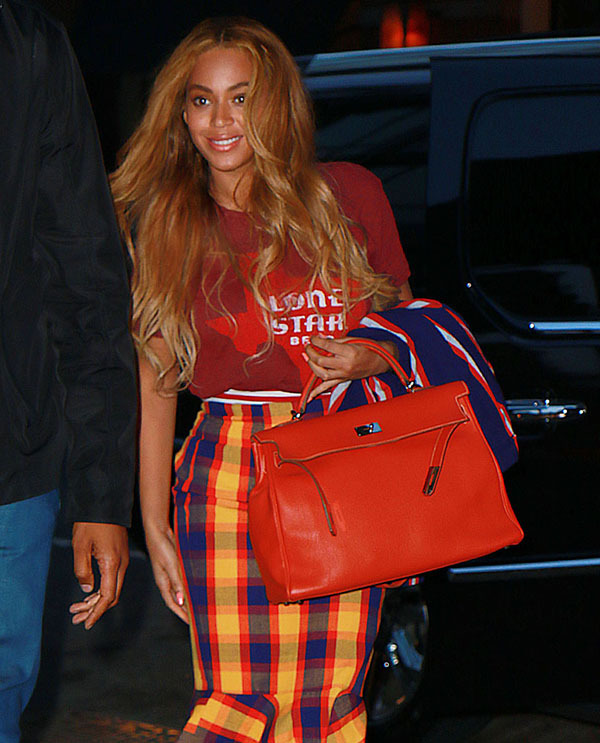 It’s one we haven’t seen for a very long while but Beyoncé rocks this unique look. Of course we will probably never know the true extent if this global superstars collection but what we do know and love is that Beyoncé is just as happy to pay a few hundreds for a bag as she is to pay thousands. That simply makes us like her even more because although she is one of the most sought after celebrities in the world she seems as though down at heart she’s just a normal girl. Previous Post:The Chloe Drew And Chloe Faye Bags ,Who’s Wearing Them The Best?